The 39-year old manager joined the Abu Dhabi club to kickstart his managerial career and help youngsters grow. On his career mishaps, he said he didn’t have many bad experiences despite serving two long term suspensions for drug related issues at Chelsea and Fiorentina. Mutu dismissed the concerns as “an old story from 20 years ago.” He says he is focused on teaching his trainees “how to be a footballer 24 hours of the day.” He is helping them make better choices on what they eat, drink or go to as it would have an impact on their performance. 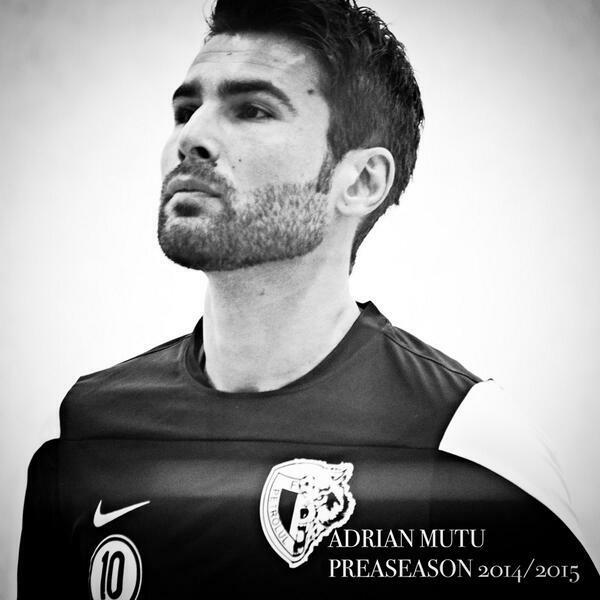 In Abu Dhabi, Mutu says he would get the chance to practice and teach football which is the passion of his life. He would also experience something new in the Middle East. He is keen on producing good results and repay the faith put in him at the club. He remains a legend in his home country, being their highest alltime goalscorer alongside the legendary GheorghiHagi on 35 goals. This entry was posted on Friday, August 31st, 2018 at 1:49 am	and is filed under Uncategorized. You can follow any responses to this entry through the RSS 2.0 feed. Both comments and pings are currently closed.